Raging Waters Full Tang Battle Ready Katana 1045 Carbon Steel | BUDK.com - Knives & Swords At The Lowest Prices! 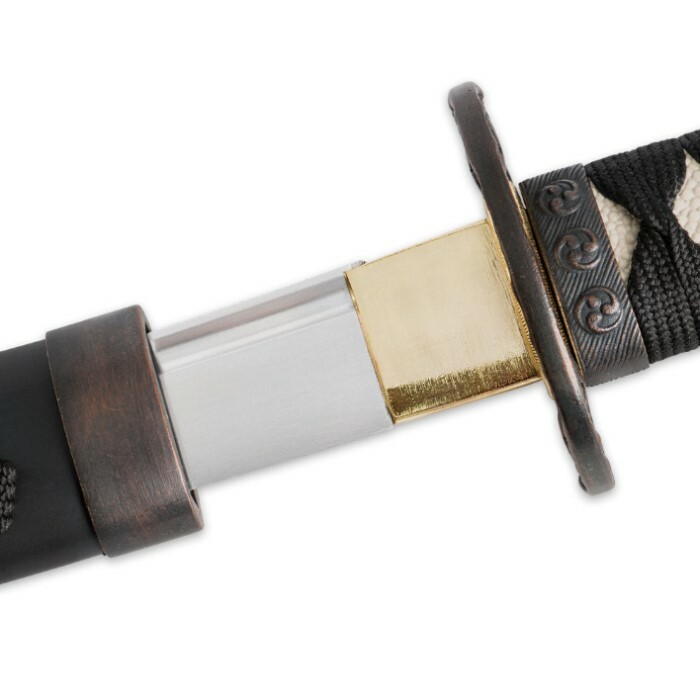 This Raging Waters Katana was named after the unique tsuba design which features intricately detailed samurai art of a raging storm at sea. 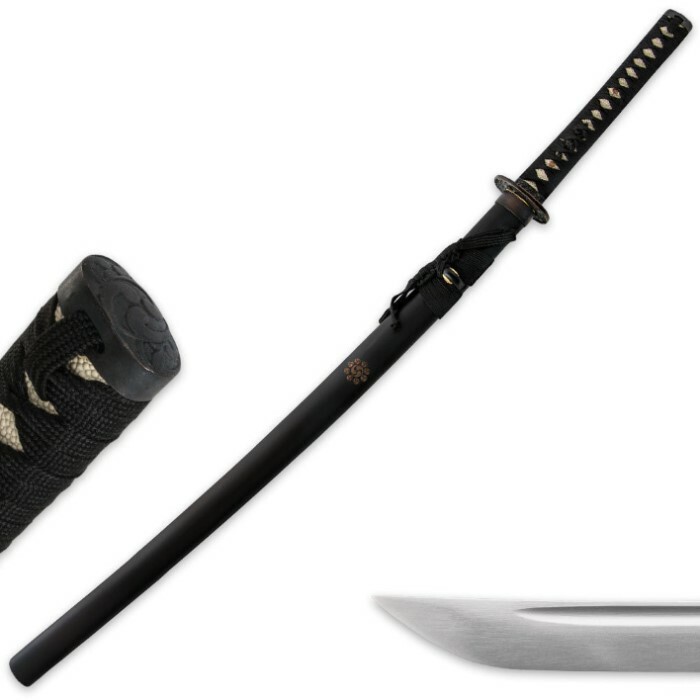 This battle-ready katana features a 1045 carbon steel blade that was hand-forged and then honed to a razor's edge. A hardwood handle is double-pegged to the full-tang blade and then wrapped in faux ray skin and traditional cotton cordage. 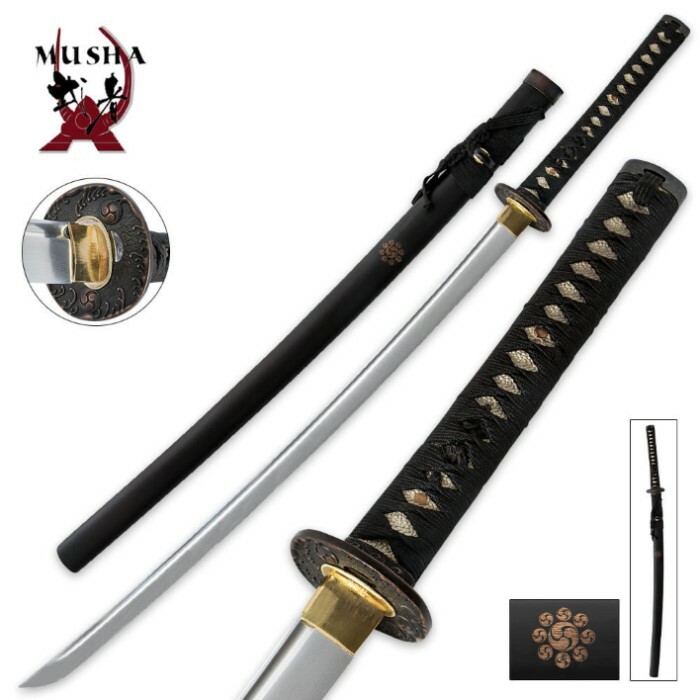 While this sword could be displayed proudly with your sword collection, it is truely at home slicing through rolled grass mats and bamboo stalks. Get yours today and we promise you won't be disappointed! First Sword, absolutely in love. Great sword for anyone who never had a katana.